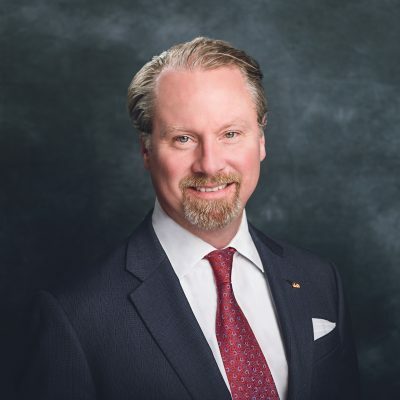 Greg Miller is Chief Executive Officer and President of Henry S. Miller Companies, a family of companies that includes a full array of commercial real estate services. Greg has extensive working experience involving the acquisition, financing, development, leasing and disposition of millions of square feet of commercial real estate. As former President of Miller Realty Partners and HSM Equity Partners, Greg supervised the acquisition and structuring of commercial real estate transactions for the Henry S. Miller investment portfolio, including office, multifamily, retail, hotel and industrial properties throughout the Dallas-Fort Worth area, Texas and the United States. Born and raised in Dallas, Texas, Greg Miller has always been a part of the family business, but has been fully active in the day-to-day operations of Henry S. Miller Company since 2002. Greg practiced real estate law from 1995-2002 at the firm of Geary, Porter and Donovan, P.C. He earned his Bachelor of Science degree from Southern Methodist University in 1989 and a Juris Doctor degree from Southern Methodist University School of Law in 1995. Between undergraduate and law school, Greg worked in Washington D.C. as a legislative assistant for the Association of Financial Services Holding Companies. Greg is married with two children. Greg and his wife, Kim, are very active in the philanthropic community. He served on the Board of the Rotary Club of Dallas from 2013-2016 and on the Board of LIFT (Literacy instruction for Texas) from 2004—2010. He currently volunteers as a coach at the YMCA for his sons’ sports. Kim is an active member of Crystal Charity Ball, the Dallas Woman’s Club and was previously underwriting chair for Cattle Baron’s Ball. They support numerous other organizations such as American Red Cross, Leukemia Texas, Baylor Hospital, Dallas Symphony Orchestra, Equest and Special Operations Warrior Foundation.